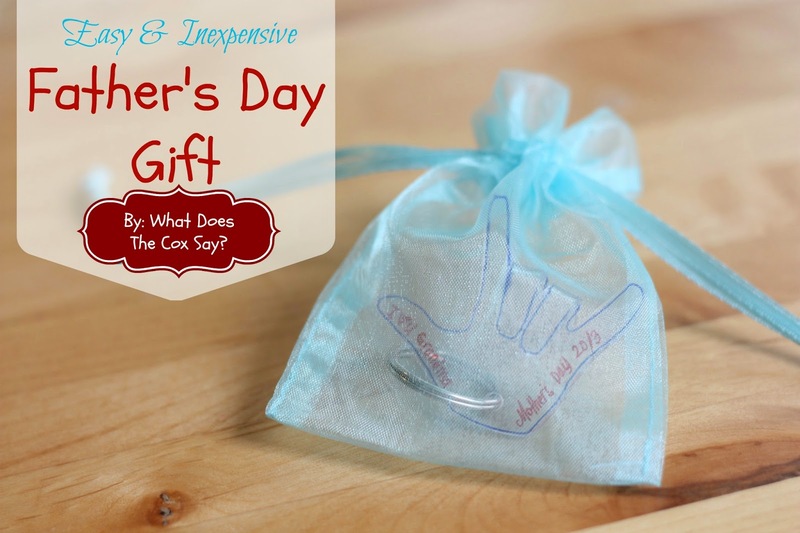 Today I wanted to share with you a super easy and inexpensive Father's Day Gift Tutorial. I'm all about easy and inexpensive tutorials on my blog! So I had to share this one. 1. While you're gathering your supplies, preheat your oven to the recommended temperature on the package of your shrink plastic. 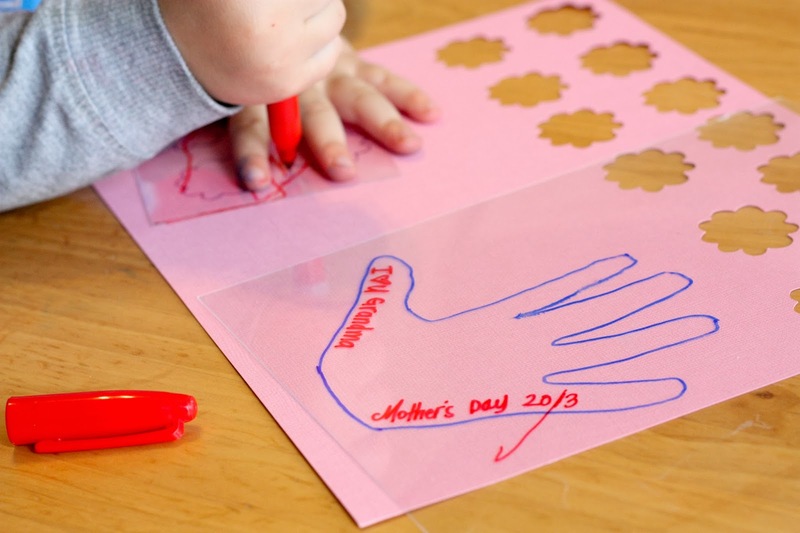 Take your little ones hand and trace it on the shrink plastic with a sharpie. 2. 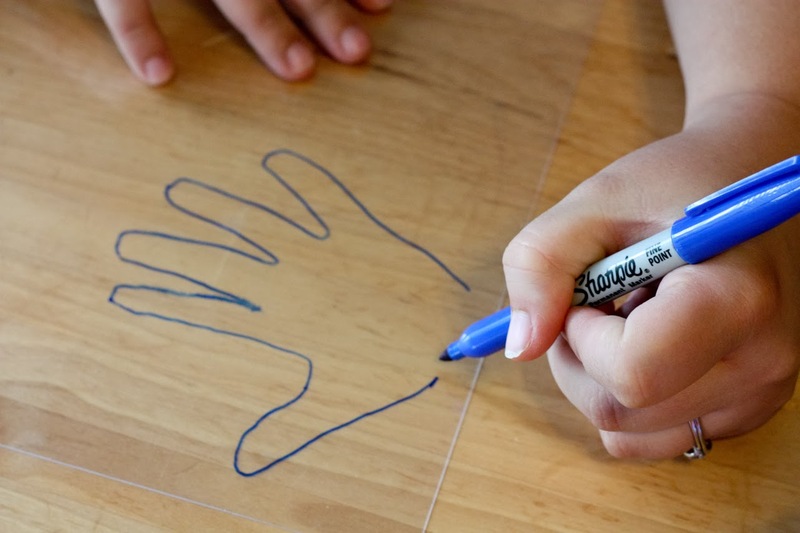 Finish the rest of your little ones hand that you couldn't get around with your sharpie. You could just free hand it. 3. 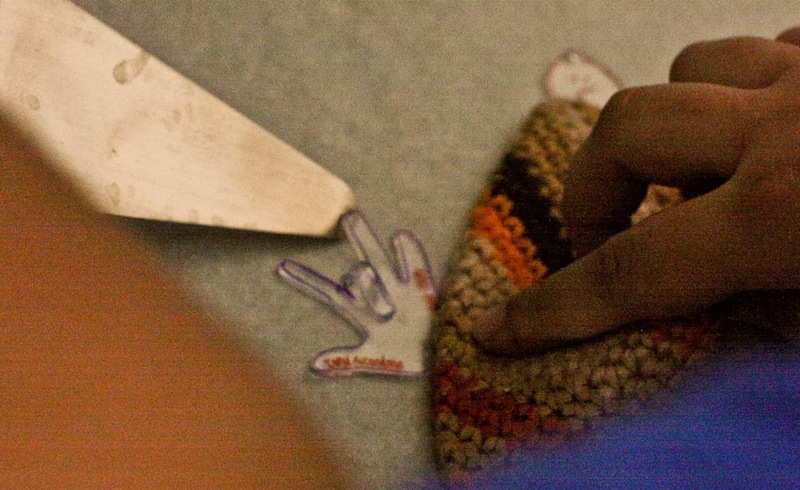 From there you can write a little message on the hand print or leave it as is. It's completely up to you! I like adding a little message. As you can tell I made this gift for Mother's Day as well. 4. 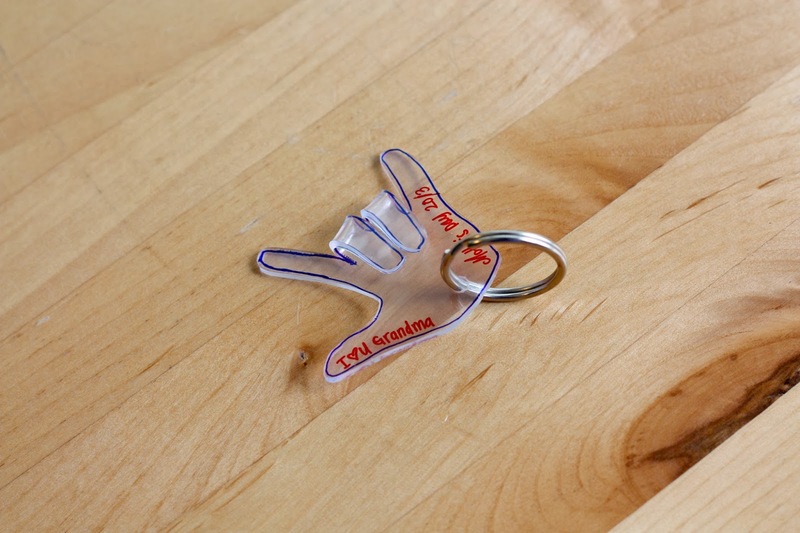 Cut around your hand and hole punch where you'd like to put the keychain through. It is super important that you hole punch BEFORE you bake the plastic. You will not have a chance to after. 5. 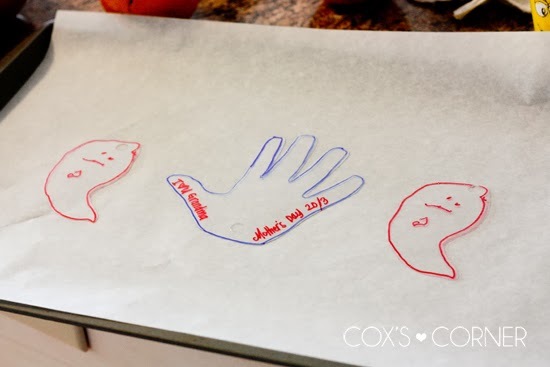 Line a cookie sheet with parchment paper and place your hand and anything else you'd like to shrink down on top of your parchment paper. Make sure to give them some room so that they don't stick together while they're shrinking. Place a sheet of parchment paper on top of your shapes so that they don't stick together either. 6. My apologies for the terrible quality of this picture. My sweet husband took it and I hadn't adjusted the settings. I had to include it so you knew how to do the next step. From here AS SOON AS your recommended bake time is up (usually 2-3 minutes...have a spatula and oven mitt ready), take your hand from the oven, it will be VERY hot, but it cools fast. So you only have a small window. Use your spatula to fold the two middle fingers over to form the sign language "I Love You". 7. Thread your hand onto your keychain and that's it! You're done. 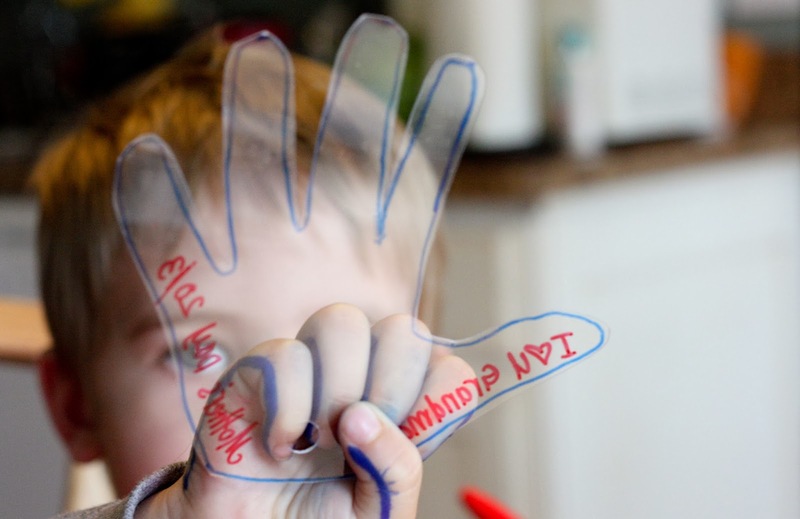 It is such a simple sweet keepsake since it's your little ones hand shrinked down. You can put it into a cute little bag and you're good to go! You can also find me on facebook, pinterest, twitter and instagram. Stop by anytime and say Hi!